Dr. Martinez brings 32 years of hearing and balance healthcare experience with all ages from newborn infants to geriatrics. He received a bachelor’s degree in communication disorders from C.S.U.N and completed his master’s degree in Audiology at C.S.U.LA. 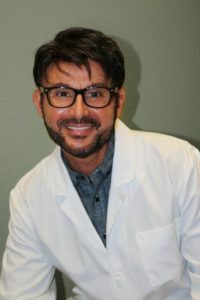 He earned his Doctorate of Audiology at the University of Florida as well as a Ph.D. in health and human services with an emphasis in hearing sciences. Dr. Martinez is board certified in audiology by the American Board of Audiology, and he holds an additional certification in vestibular assessment and rehabilitation by the American Institute of Balance Education Foundation. In addition to his extensive educational background, he’s also a provider for our nation’s veterans and active duty members returning home. Horses are Dr. Martinez’s passion outside of his work. He owns four horses and loves to ride the trails of Griffith Park.